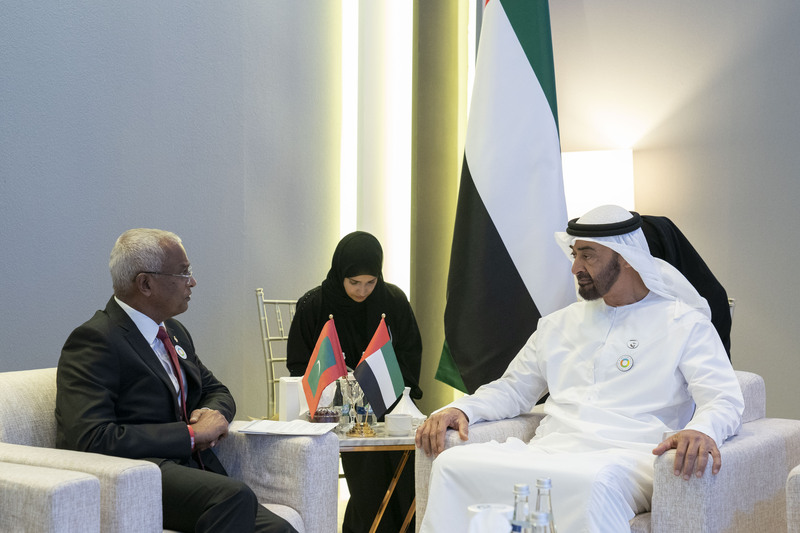 President Ibrahim Mohamed Solih and the Crown Prince of Abu Dhabi & Deputy Supreme Commander of the UAE's Armed Forces His Highness Sheikh Mohammed Bin Zayed Al Nahyan have reiterated their commitment to further strengthen and diversify existing relations between the Maldives and the United Arab Emirates. The discussions were held while meeting on the margins of the Zayed Sustainability Awards Ceremony held in Abu Dhabi today. The UAE Crown Prince reassured of commitment for continuous support to the Maldives, especially in the areas of fisheries, farming and agriculture.